“There is never a good time for the payments system to go down but a Friday afternoon, when there is a flood of people leaving work, must be among the worst,” one banking industry source said. The only way for people to pay for stuff was with co-branded Mastercard cards, or hard cold cash. Luckily, Visa cards were still working at ATMs, although the queues were considerably longer than normal. 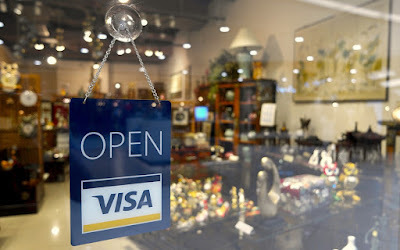 In a beautiful irony, Visa, a company whose stated mission is to “put cash out of business” as quickly as possible, had little choice but to urge its customers to withdraw and use physical bank notes for transactions until the technical issue was resolved. Without access to cash, the chaos caused by yesterday’s outage would have been immeasurably worse. While the UK has happily embraced cashless living, with a resultant explosion in personal debt levels, in many other countries Visa has been dogged by the stubborn survival of cash and checks, despite widespread government and corporate efforts to kill them off. Globally, check and cash transactions totaled $17 trillion in 2016 — up 2% from a year earlier. To try to counter that trend, Visa rolled out a new US initiative in the summer of 2017 that offered to award 50 eligible retail businesses (online businesses are excluded) up to $10,000 each if they committed to refusing cash payments. It’s not hard to guess who would be the biggest beneficiary. Card fees, which are paid by merchants and usually passed on to customers via higher prices, normally range between 1% and 3%. Among the entities that get to divvy this moolah up are the bank that issued the visa card and the credit card network – such as Visa, MasterCard, Amex and the like. Visa gets just a small piece of the action, but if it is on every transaction, it adds up. In 2016 Visa extracted $15 billion from processing transactions globally without even carrying any credit risk (the banks have to deal with that). Going completely cashless with risks, as consumers in Europe were just reminded: system outage. If the payment system goes down and all you have to pay with are cards or your mobile phone, you could suddenly find yourself quite literally cashless, as happened to many Puerto Ricans after the power outages in 2017, caused by Hurricane Maria, knocked out electronic transactions and ATMs for days or weeks on end. It was a stark reminder of just how fragile and vulnerable a 100% cashless society would be — at least until a cashless system can be created that is 100% safe from the threats posed by natural disasters, accidents, cybercriminals, and basic human incompetence. And it’s why cash retains its crucial role in the payment universe, whatever Visa, driven by its desire for more profits and a larger market share, might want people to believe. Even some of Europe’s senior central bankers are now willing to publicly concede, printed banknotes should retain their place and their role in society as legal tender for a long time to come.